These items will be excluded on the report if the options are not checked. By default these items were included before but now you have a choice when printing the HITB report. 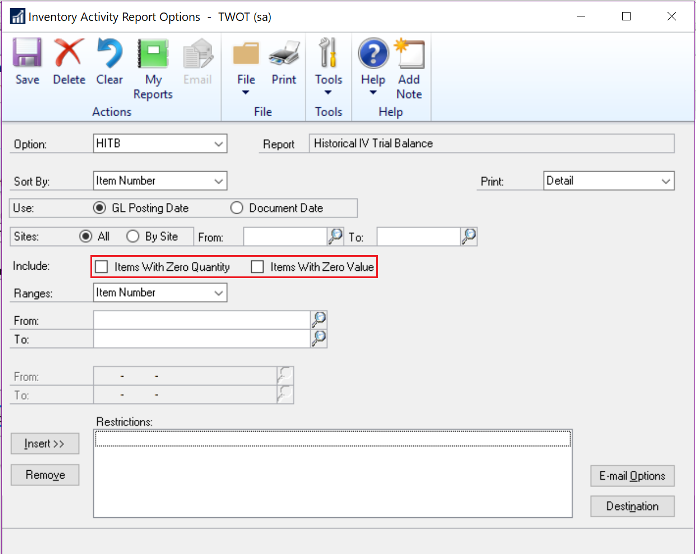 If you do not want to print zero quantity/value items then leave these checkboxes unmarked.